Walk into IXIA and branches, tree trunks and driftwood surround you. 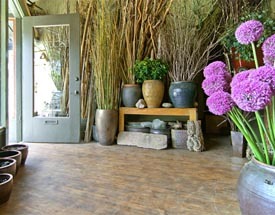 Mosses, stones, succulents, pods and other forms borrowed from nature create a palette of texture. And wherever you look, you see tradition blend with innovation, in designs that range from fresh takes on the familiar to the artfully exotic. 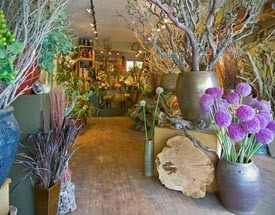 For over 35 years, IXIA has been creating sculptural arrangements that reflect the wonder of the natural world. Our passion is evident in everything we create, from the smallest arrangement to the largest installation, and in art pieces that last an evening or a decade. 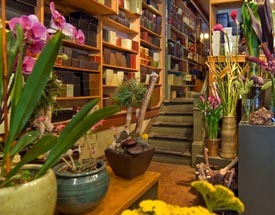 Come and explore our work, here or in our shop in San Francisco.